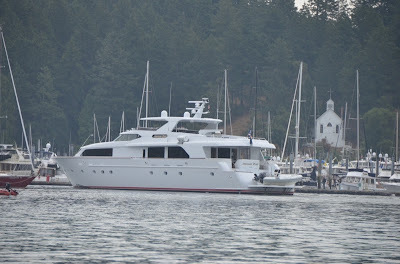 After breakfast, a shower, and a quick trip into town, I headed out of Friday Harbor bound for Henry Island. Henry Island is just across from Roche Harbor and it forms the northern shore of Mosquito Pass. Seattle Yacht Club has an outstation there, and I figured it’d be worth checking out. I had an easy trip up San Juan Channel. The current pushed me along nicely for the first half, then slowed me the second half. Lots of boat traffic, and the water was correspondingly rough as big motor yachts sped past me. 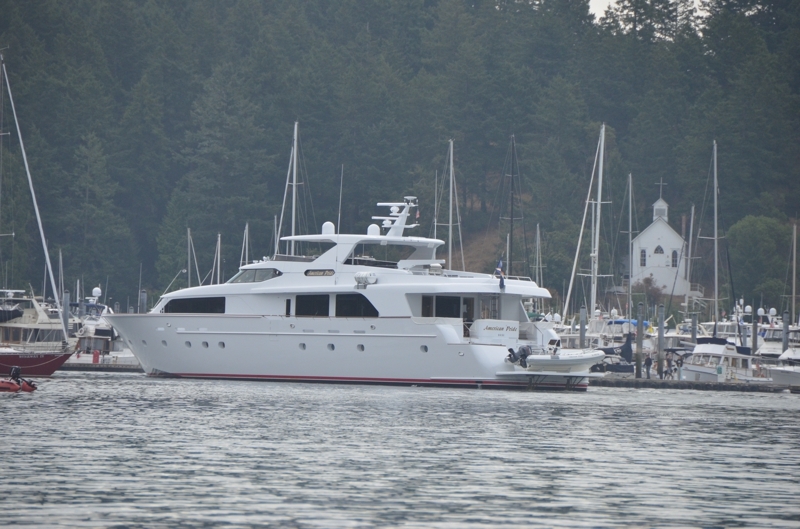 Roche Harbor was busy, as usual. 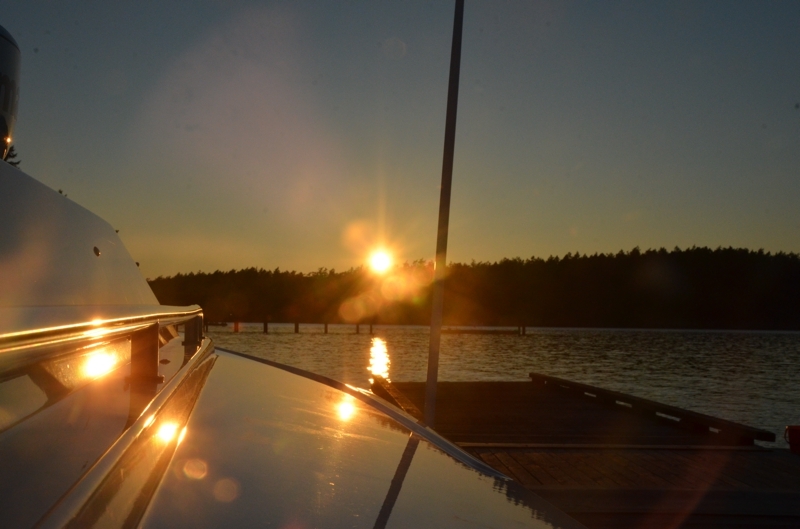 The SYC outstation at Henry Island is about a mile from Roche Harbor’s docks, and it is much quieter. The outstation is beautiful, with a massive lawn, barbeques, walking paths, etc. "American Pride" is the name of this boat...but the owner isn't proud enough to register it in the USA (and pay taxes). The sun was shining bright, and I did lots of reading on the lawn. I’m reading a book called Trekka Round the World, about John Guzzwell’s circumnavigation of the world in a self-built 20’ sailboat in the 1950s. It makes going around Vancouver Island in the C-Dory seem like a stepping across a puddle.